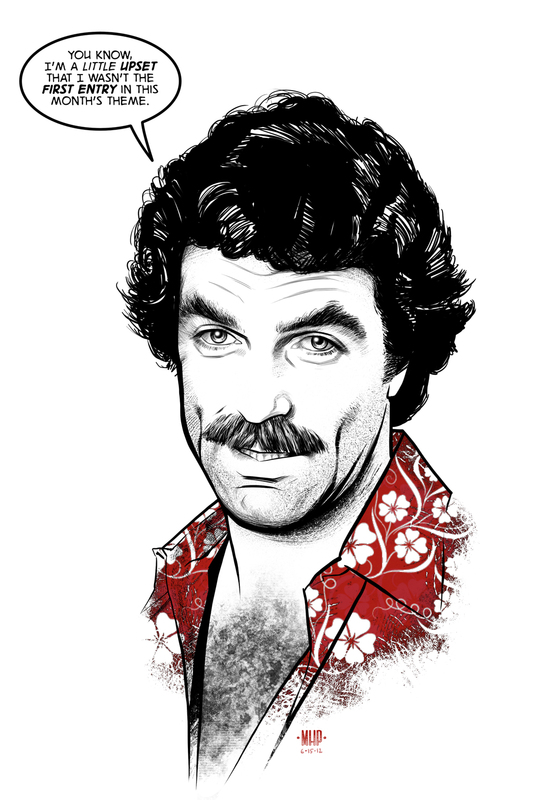 PLANET-PULP // CELEBRATING PULP CULTURE: Magnum P.I. YOU WIN AT LIFE MIKE! AGREED! I think you've reached the level cap, Mr Penick. Which is currently 60 I think. o.O Ha ha ha, I love it!! Not only the supremely cool mustache, but the chest hair. THE. CHEST. HAIR. Thanks, peeps! THE. CHEST. HAIR! Who knew?